VW owners demand: Buy back our cars! Lots of VW car owners are mad as hell. Volkswagen said Monday that it will fork over $500 gift cards to owners of VW diesel cars hit by its emissions cheating scandal, as well as a $500 credit that can be used at VW dealerships. But dozens of unhappy Volkswagen owners say that the automaker's so-called "goodwill program" isn't nearly enough. They want the company to take the cars off their hands. "I don't want their $500," said Steve Szabo, who bought his car last July. "They can keep their gratuities and buy this 2015 VW Golf TDI back, and I will take my hard earned money elsewhere." VW owners say that they feel trapped, worried that they won't be able to resell a car that they'd paid a premium to buy. VW's diesel cars promised exceptional fuel efficiency that was also better for the environment. 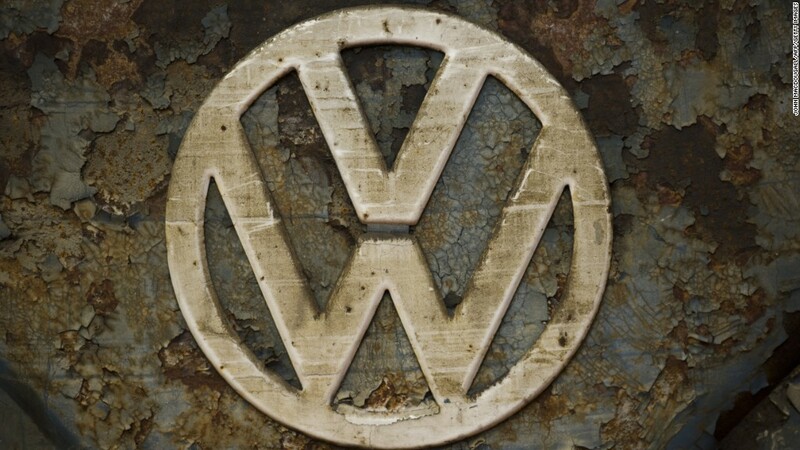 So far, Volkswagen officials have been mum about plans to repurchase cars. Instead, it says it's focused on identifying a fix to the car's emissions system, which is sending far more pollutants into the atmosphere than it's supposed to. Danny Lori called the goodwill offer from Volkswagen "beyond insulting." He's owned Volkswagen and Audi cars for the last 20 years, and bought his Audi A3 diesel specifically because of the claims that it was good for the environment. "VW/Audi lied and tricked me into owning a highly polluting vehicle that I have been driving for four years," he said. "They should HAVE to take my car back and return my money. It's outrageous." Brenda Andrews, who traveled about 250 miles from her home in eastern Oregon to Portland just to buy her VW, is equally enraged. "The entire reason I bought my Jetta TDI sportwagen was a sham," she said. "I kept telling myself that the emissions and clean diesel and excellent miles per gallon made up for the rough ride and loud road noise. I was misled when I purchased my car into thinking it was something other than it was. I want them to buy my car back." Richard Holmes, a San Francisco insurance agent, laments the fact that he still owes a lot of money on his VW car. "I feel betrayed by VW and systematically defrauded." Not every VW owner wants to unload their car, however. David Rosing, a systems engineer for NASA's Jet Propulsion Laboratory working on the Mars mission says he's angry with the company. But, he admits, "my wife loves the car. We've talked about, 'What could we possibly replace it with?'" he said. Rosing has calculated the excess emissions for the diesels he and his wife both drive, even with the faulty technology. And he still believes that in the end his cars are better for the environment than gasoline-powered cars. He adds that diesel technology can be very clean if it's done right, but worries that the VW scandal may kill the U.S. market for it. "What I'm worried about is that diesels may now fall by the wayside," he said.